When the arguments over the best films of 2015 come around in just a few weeks, there is going to be one that will feature heavily: Sicario. Director Denis Villeneuve manoeuvres Roger Deakins’ sumptuous camera through a pulsating story, while everyone who stars is on the top of their game. But it almost ended in a completely different fashion, and now Emily Blunt has opened up about how she helped to change the conclusion. During her interview with HitFix, Blunt spoke about how she and co-star Benicio Del Toro collaborated to alter the final scene. Obviously, I am about to talk about how Sicario ends, so, if you haven't seen it, do yourself a favour and look away now. Also, go and see Sicario, you won’t regret it. The scene in question sees Emily Blunt’s Kate Macer forced to sign a contract by Benicio Del Toro’s Alejandro Gillick that confirms all of the antics in Sicario were conducted in a lawful and professional fashion. Even though they obviously were not. Originally, Kate wasn’t force to sign a document. Instead, the pair became embroiled in a fight, which saw Kate receive a broken nose and ribs. Alejandro then lifts up her top, baring her breasts to the camera, while examining her wounds. Blunt, who admitted that the moment really “affected” her, explained the trio “just felt that we wanted to do something different." In order to change the ending, Emily Blunt, Denis Villeneuve, and Benicio Del Toro gave themselves the entire day to figure out what they wanted to do. So they just sat and talked about the relatively small scene for two hours. It felt so tender and yet so frightening, and it was really a cool scene. That’s something that anyone who has seen Sicario can attest to, as it’s the perfect, heart-breaking conclusion character. But this wasn’t the only alteration made to the ending of Sicario, though. 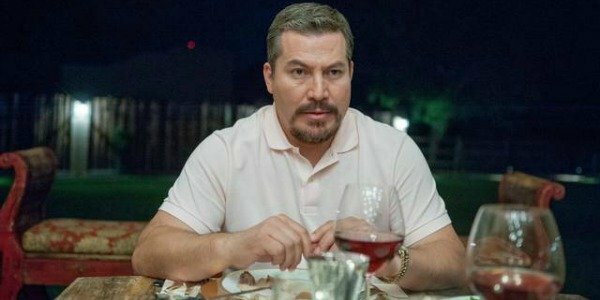 According to Alternate Ending, the scene where Alejandro kills Fausto’s entire family in front of him, before then shooting him, also changed. Originally, it saw Alejandro order the cook to take the children away before giving Fausto the option of living or dying. It’s interesting to learn how Sicario evolved to its ultimate conclusion. I think we can all admit that the filmmakers made the right choices in altering these scenes, as what actually made the final edit was a much more emotional and stirring than the originals. And these improvements both helped to make Sicario one of the best films of the year.